How can a market be burdened with millions of tonnes of excess stock and at the same time be prone to almost continuous tightness? This is the conundrum posed by the aluminium contract traded on the London Metal Exchange. (LME). LME front-month spreads have just passed through another period of extreme turbulence. At its most acute, on February 29, the cost of borrowing metal for the three weeks to the March prompt date flexed out to $29 per tonne. The cost of borrowing for a single day, known in the London market as ‘tom-next,’ reached almost $8.5 per tonne on March 3. The benchmark cash-to-three-months period has so far this year spent twice as much time in backwardation as in contango. Yet this is a market defined by massive legacy inventory. Most of it is ‘hidden’ in off-market storage — some say this is not less than 10 million tonnes. Something’s not quite right. Maybe it’s the fact that for many months now someone has been holding much of the LME inventory and using that position to exert pressure on shorts rolling their positions forward. But that in itself is a sign of a more fundamental problem with the LME aluminium contract. Last time, it was the disconnect between LME price and physical premiums. This time it’s the disconnect between nearby and forward spreads. There’s a worrying possibility that the LME’s solution to the first problem, attacking the persistent load-out queues in its delivery system, is now creating a new problem. As of the close of business Tuesday one entity was holding between 50 and 80 per cent of all the ‘live’ stock in the LME system. That would make the position somewhere between 1.43 and 2.29 million tonnes. This is not news to anyone trading the LME aluminium market. That dominant position holder has been there for many months, albeit with a fluctuating amount of metal at any one time. This sort of long position requires very deep pockets. And our ‘mystery long’ is not breaking any LME rules. The LME doesn’t prohibit such big positions but it does put limits on their potential abuse. In this case, such a massive holder of metal must lend to shorts at a prescribed rate. Moreover, the LME’s compliance department will have been in regular contact with this buyer. It is also becoming easier to squeeze the LME aluminium contract’s nearby dates. Firstly, the withdrawal of investment money from commodities by passive index investors, has reduced the amount of lending generated by funds rolling their long positions forward. Secondly, the amount of underlying stock liquidity in the LME warehouse system has been steadily declining. ‘Live’ tonnage, meaning that which isn’t earmarked for physical withdrawal, hit a seven-year low of 1.63 million tonnes in December. This year has seen that figure rebound to a current 2.87 million tonnes as previously cancelled metal has been re-warranted. Distressed shorts have delivered fresh units into the system too. But not all of that headline figure on stocks is available for settlement of LME positions. Some of it is locked up in long-term financing deals. The outlook is for LME stocks to continue declining over the medium term. This is where the LME’s increasingly draconian anti-queue rules are having an effect. Even while new aluminium units are arriving, ever increasing amounts are leaving. The daily load-out rate at Vlissingen, the location of the longest queue, has just accelerated from 3,000 to 4,000 tonnes per day. That’s because Pacorini, the warehouse operator that ‘owns’ the queue at the Dutch port, is complying with the LME’s new elevated load-out rules. The Vlissingen outflow will accelerate again from next month when another new rule, limiting the rent on queue-locked metal, kicks in. Most, if not all of this metal, is headed for off-market storage, which is considerably cheaper than LME storage. Warehouse rental is the single-biggest cost for metal financiers, who seek to make a return on the difference between short- and long-dated futures. Stock financing is a core function of any commodity market. Consider the implications of it not being there and 10 million-plus tonnes of aluminium swamping the physical market. But this financing function is creating a potentially vicious circle in the LME aluminium market right now. Those looking to move stocks out of the LME system will be rewarded with ever faster load-out. The promise of faster outflow leaves the aluminium contract even more vulnerable to the sort of dominant-position pressures seen over the last couple of months. Unless the dominant long gives up, it’s difficult to see how this cycle is going to be broken. And even if the current buyer (long) does cash in, another one could just as easily play the same game, given the continuing migration of inventory from LME to off-market storage. The latest report published by the World Bureau of Metal Statistics (WBMS) indicates that global primary aluminum market has recorded a deficit during the year 2015. As per the report, the market reported a deficit of 356,000 tons when matched with the deficit of 589,000 reported during entire year 2014. 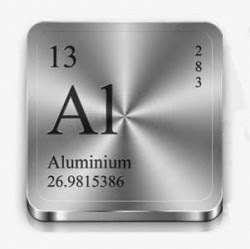 The production of primary aluminum was up by 8% during the entire year when matched with the previous year. The global production rose by 4,103 kt during this period, when compared with a year ago. The total reported stock of metal has declined further by 6,000 tonnes during the month of December 2015. The stocks at the end of the year stood at 3,783 kt, which is sufficient to meet 24 days demand. It must be noted that the stock levels at the end of 2014 had stood at 5,020 kt. The combined stocks held in London, Shanghai, USA and Tokyo exchanges totaled 3,228 kt at the end of 2015, down by 1,217 kt when matched with end-2014 levels. Global production increased by 8% during the year 2015. China, with estimated production of 31,410 kt, accounted for more than 55% of the world production. Production in the EU-28 region rose by 9.3% whereas the output by NAFTA region fell by 2.2% year-on-year. The primary aluminum production for the month of December 2015 alone was 4,502.80 kt, whereas the consumption totaled 4,441.30 kt. The Chinese net exports of aluminum semis totaled 4,227 kt during 2015, significantly higher when matched with the exports of 3,652 kt during the year before that. The Chinese net exports totaled 342 kt during the whole of 2015 as against the exports of 313 kt in 2014. The WBMS report also states that the global aluminum demand rose by 7.19% during 2015 to total 57.71 million tonnes, when compared with 2014. The Chinese apparent demand went higher by almost 14.2% when compared with 2014. Also, EU-28 demand ended slightly higher during January to December 2015 by 25 kt when compared with 2014. Why Aluminum prices to drop in July? Aluminum prices, though rebounding from six-year low thanks to China’s efforts to stabilize plummeting stock market, still face downward pressure from poor market fundamentals, enanchu.com predicts. Expansions of low-cost new capacity are exacerbating already oversupplied market. For example, Xinjiang Qiya Aluminum just put online 250,000-tpy capacity, which will bring its total operational capacity up to 850,000-tpy by the end of July. Xinjiang East Hope is in the process of commissioning its 900,000-tpy new project. More capacities might enter operations once aluminum prices become attractive. Small-scale production cuts have been reported in Henan, but these are just a tip of the iceberg in relation to overwhelming capacity in operation. Aluminum demand has taken a hit by sluggish housing market and falling automobile production and sales. The situation will worsen as the off-season deepens. Aluminum costs fell this year, thanks to growing use of captive power, preferential power tariffs offered by local government, as well as lower coal and alumina prices. This will act as another drag on aluminum prices. (Reuters) - U.S. aluminum premiums have plunged by as much as 20 percent in the past week, reaching their lowest in more than a year as imports flood into the last remaining bright spot in a worsening global market. Premiums paid for physical delivery on top of the London Metal Exchange benchmark have sunk to 14-15 cents per lb this week, the lowest since early 2014, from 18 cents last week as financing deals unravel and demand remains weak. The decline from record highs above 24 cents earlier this year will provide some relief to can- and car-makers such as MillerCoors and Coca Cola Co . For producers like Alcoa Inc and Rusal <0486.HK>, it has removed a major prop to profits as LME prices tumble, increasing pressure to reduce high-cost capacity. Market participants had expected premiums to fall after the LME introduced much-anticipated rules to reduce queues at warehouses with logjams. 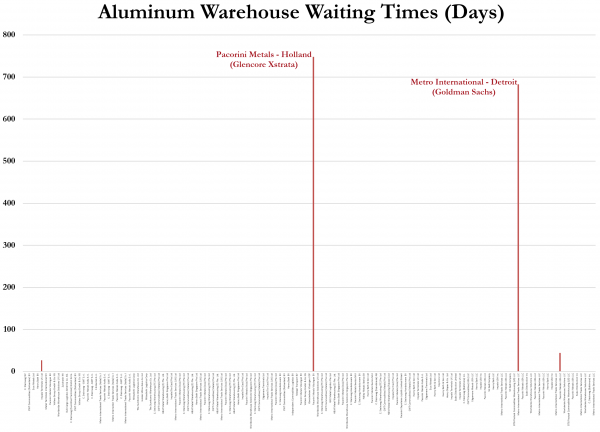 In Detroit, the wait time to take delivery of metal is a year and a half. Still, the scale and speed of the decline have sounded alarms among traders, reminiscent of the dramatic slump in 2008 when carmakers dumped millions of tonnes of unwanted metal in Detroit as sales collapsed at the height of the global economic crisis. "Asia doesn't need anything. Europe doesn't need anything. There's inventory everywhere," said one U.S. trader. For traders holding stock, the appearance of a backwardation this month, with cash prices higher than forward, has made financing deals unprofitable. The cash-to-three-month spread was around $9.75 per tonne on Wednesday. The surcharges are tumbling quicker than expected as a wide arbitrage lures material from exporters who might otherwise sell to Europe, where premiums have nearly halved to around $250-$290 per tonne duty-paid from records seen in November last year. In recent months, material has landed on U.S. shores from India in bulk for the first time in more than a decade, adding to the big flows of metal from the Middle East, Russia and Canada. This week's drop has narrowed the arbitrage with Europe to around $100 per tonne, but traders say the cost of shipping metal to the United States may put a floor under premiums in the long term, helping to prolong the arbitrage game. Estimates range between 8 and 12 cents per lb, which is $180-265 per tonne. They are historically still very high. "Premiums will continue to fall, but not to historic levels because the U.S. is short of aluminum," said David Wilson, metals analyst at Citigroup. He reckoned premiums will fall to 9-11 cents per lb in the second half of the year. The pace of imports will reinforce concerns among producers about oversupplies and Chinese aluminum flooding the global market. Unwrought imports in the first two months of the year breached 500,000 tonnes for the first time in six years, with bigger-than-usual tonnages from Germany and India. In February, India imported 1,027 tonnes of aluminum, the highest monthly total for the country since 2001, according to U.S. trade data. That's still small compared with Canada and Russia, but it was likely due to new smelting capacity from Vedanta Resources Plc and Hindalco Industries Ltd , traders said. India only imported metal in four months last year and over the past decade or so, it has only sporadically imported aluminum into the United States. That's on top of hefty inflows last year of 3.06 million tonnes, the highest in five years, as Alcoa's smelter in the Middle East ramped up. 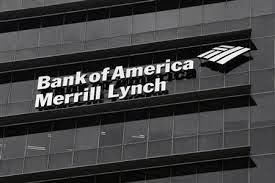 Bank of America Merrill Lynch has cut its this year price forecast for aluminium to $1,800 a ton and remained unchanged for 2016. Bank of America Merrill Lynch previously mentioned that gold prices to average $1,818 a ton this year and $1,850 a ton for next year. 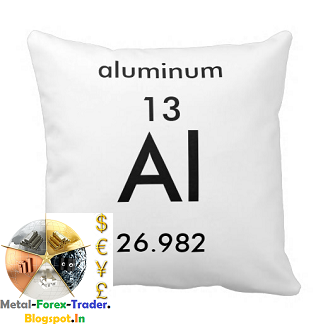 Aluminium has been among the best performing metals since the beginning of 2014. Of course, this was heavily influenced by substantial output curtailments from operators in World ex-China. Yet, exports of semis from China increased in recent months, halting the rally on LME. While the aluminium market in World ex- China remains in deficit, we remain cautious until Chinese product shipments subside. Meanwhile, trading on LME is normalising, which has pushed premia lower. Premia remain above fair value, so Bank of America Merrill Lynch expects further downside. Incidentally, lower premia have made Chinese semi exports less economic, so there is scope for China’s producers to dump less material onto international markets. --China has continued to export substantial tonnages of semi-finished products. Of course, while the majority of these semis are genuine, some really are primary aluminium disguised as a product to attract tax rebates. --In addition, queues at LME warehouses after the Financial Crisis contributed to a substantial tightening of the physical market. Yet, trading on the exchange has gradually normalised. The statistics released by the Aluminum Association indicates that the new mill orders for the month of March 2015 have increased significantly by nearly 10% from the same month a year ago. The orders jumped 6.6% from Feb ’14 levels. The year-to-date new mill orders index was up by 7.0% in 2015. New orders for plates have declined by 10.3% in March this year when compared with the same month a year ago. The Mar ‘15 plate orders were also down by 5.8% from January levels. The heat-treatable sheet orders during the month of March this year surged higher by 125.7% from Mar ’14. Also, the orders climbed higher by 14.4% over the previous month. Non-treatable sheet orders were up by 7.7% year-on-year, but declined marginally by 0.2% from the previous month. New orders for extruded products and domestic can were up in March, whereas those of foils and export can stock declined. The orders of extruded products jumped 11.8% in March ‘15 when compared with the previous year. Also, extruded products orders were up by 10% when compared with February 2015 orders. The Mar ‘15 orders of foils plunged by 17.3% when compared with the previous year. However, the orders rose significantly by nearly 9% from Feb ’15. The orders of domestic can stock were up by 12.5% from previous year. Also, the orders during March were up by 10% over the previous month. Also, the orders of export can stock fell 13.2% month-on-month in March ’15. The export can stock orders were up by 1.2% on year-on-year basis. The French Bank Natixis in its latest research report forecasts LME Aluminium price to average around $1,840 per mt in 2015. The prices are likely to move higher in 2016 to average around $2,000 per mt. In its metals review for H1 2015, Natixis forecasts a tug of war between positive and negative factors in aluminium market over the next few years. The bank indicates several positive factors that may favor the aluminium market. The biggest bullish factor for aluminium is the expected robust demand growth from automotive sector. Also, any shortage of bauxite mat lead to rise in alumina prices. In addition, limited excess supply from China may augur well for the commodity prices in the years to come. On the other hand, Natixis forecasts excess aluminium inventories to stay at least until 2018, which may lead to further fall in premiums. 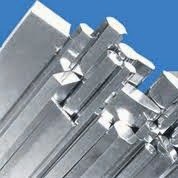 Also, strengthening dollar may turn out to be a negative factor for aluminium along with other commodities in general. Natixis also points out a number of upside and downside situations that may have bearing on the above price forecast. In an upside scenario, acute shortage of bauxite may further tighten alumina supplies. Intervention by Chinese authorities on export rules and adjustment of VAT refunds may limit exports of semi-processed aluminium products out of China. The idling of loss making aluminium smelters across various provinces may limit excess supply. In such a scenario, the aluminium prices may average around $2,000 per mt in 2015 and increase further in 2016 to average around $2,250 per mt in 2016. A sharp fall in aluminium premiums could make more metal available. Boost in low-cost aluminium production by China and increased Russian output on account of weak ruble may result in more available in the international market. In such a scenario, the average prices are likely to fall to $1,700 per mt in 2015 and 2016, the bank said. Feb 17 (Reuters) - Aluminium stocks held at three major Japanese ports climbed for a tenth month to hit a record high at the end of January, as robust imports met tepid domestic demand. Aluminium stocks held at Yokohama, Nagoya and Osaka grew 8.8 percent in January from a month earlier to 449,800 tonnes, Marubeni Corp said on Tuesday. The trading house collects data from those key ports. That broke the previous record set in December, the highest level in data going back nearly 15 years. "A high level of imports kept coming to Japan to look for buyers as demand elsewhere in Asia stayed slack and China is exporting cheaper aluminium products to neighbouring countries," said a Tokyo-based trader, who declined to be named. Meanwhile, Japanese imports of aluminium ingots for 2014 soared 16 percent from a year earlier to 1.698 million tonnes, the highest since 2010, the country's trade data showed. Imports of aluminium alloys rose 11 percent to 1.125 million tonnes, the highest since 2008. January inventories were also inflated by the early arrival of some cargoes that were supposed to arrive in Japan in February, as well as by weak domestic demand, the trader added. 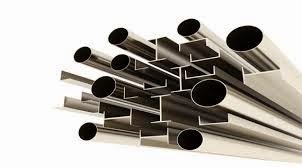 Output of rolled-aluminium products by Japanese fabricators fell 2.9 percent in December from a year earlier to 160,731 tonnes, marking a second monthly decline and reflecting slow demand of vehicles and houses, the Japan Aluminium Association said. Japan's aluminium premiums for primary metal shipments it agrees to pay each quarter over the London Metal Exchange (LME) cash price were set at a record high of $425 per tonne for January-March deliveries, rising for a fifth straight quarter as overseas rates remained persistently high. "Spot premiums have been below $425 per tonne in Japan due to higher inventories and as some Japanese companies want to cut their stocks by March 31, the end of the current business year," the trader said. (Reuters) - Japan's aluminium premiums are likely to stay at a record high level of $425 per tonne throughout this year, supported by higher U.S. spot premiums and tight global supply, outside of China, Japanese trading house Sumitomo Corp said. Japan is Asia's top aluminium importer and the premiums for primary metal shipments it agrees to pay each quarter over the London Metal Exchange (LME) cash price set the benchmark for the region. "I don't think Japan's premiums will fall sharply this year as U.S. premiums are about $100 above Japan's level and global supply excluding China is fairly tight," Shingi Yamagiwa, manager of Sumitomo's light metals trading team, told Reuters in an interview on Thursday. Japanese premiums have risen for five quarters, hitting a record high of $425 per tonne for January-March deliveries, but that was only slightly higher than the previous quarter as the physical market cooled. The latest quarterly negotiations on premiums dragged on for longer than usual as Japanese buyers resisted paying more, given record stockpiles of metal in December. "But the inventories will likely drop toward March as Japanese companies want to cut inventories ahead of the end of their business year and Japanese buyers, including us, have reduced delivery volume for this quarter," Yamagiwa said. He did not say how much volume it has cut for the quarter. U.S. premiums, now about $530 per tonne, are expected to gradually decline as some producers had shifted supplies from Asia to North America this quarter, he added. "China will be a wild card," he said. "If China steps up its export of aluminium products or even aluminium ingots, that will change the whole picture and drive down the premiums." China's exports of semi-finished products climbed 9.8 percent last year to 2.52 million tonnes, easing supply in Asia. Sumitomo predicts Japan's premiums will slip to $400 per tonne in 2016 and $370 in 2017. The trading house, which owns 20 percent stakes in Malaysia's two aluminium smelters, expects the global aluminium market, including China, to be roughly in balance in 2015 and 2016, with demand and supply both growing at a pace of around 6 percent each year. "We had expected China's output to slow down in 2014-16 following government policy, but it looks like it won't happen until 2016-18, about a two-year delay," Yamagiwa said. "LME aluminium prices will stay in a range of $1,700-1,900 for the first half and gradually move higher to a range of $1,900-2,100 later this year," he said. LME aluminium has gained 1 percent so far this year and was trading around $1,866 a tonne on Thursday. The Russian aluminum major-Rusal's aluminum output during the entire year 2014 dropped significantly by over 7% in 2014 to touch the lowest levels since the company's merger with Sual in 2007. Rusal's aluminum production during 2014 totaled 3.6 million mt. However, the Rusal management stated that it has met its production guidance for the year 2014. The company had put strict controls on aluminum production and had shifted focus to value added products in 2014. Value added products including billets, slabs, wire rod, foundry alloys and high purity aluminum accounted for nearly 45% of the total production. 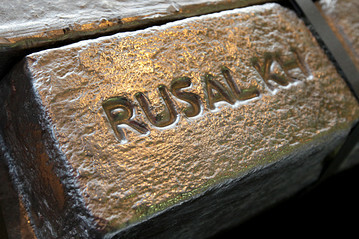 Rusal had idled seven smelters during the year in an attempt to improve the global demand-supply situation. The company further stated that the cautioned approach will continue in 2015 as well. Rusal's production guidance for the year 2015 stood at 3.6 million mt, unchanged from 2014. This constitutes 80% of the company's total production capacity of 4.5 million tons per year. Also, it also has no plans whatsoever to resume production any time soon at the idled facilities. According to Rusal, the average aluminum sale price has increased by 3% from $2,150 per mt in 2013 to $2,219 per mt in 2014. The country's alumina production has dropped marginally by 1% to 7.2 million mt in 2014. On the other hand, bauxite production during the year was up 2% year-on-year to 12.1 million mt in 2014. 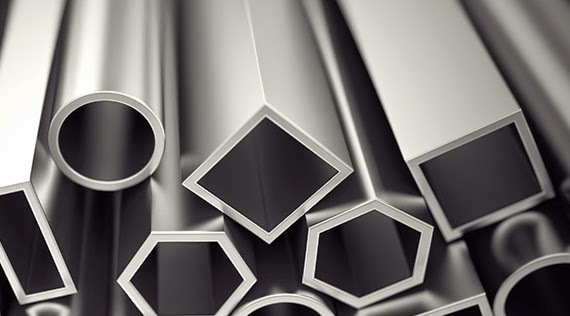 Rusal forecasts 6.5% growth in global aluminum demand during 2015. The markets excluding China are most likely to encounter sharp deficit in supply during the year, it stated. The U.S. Midwest aluminum premium will drop but remain near record highs in 2015 as warehouse queues are reduced, two analysts said on Tuesday in a panel discussion at the Platts Aluminum Symposium. 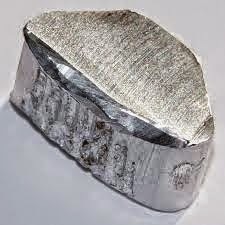 The premium , or the price aluminum users pay on top of the benchmark London Metal Exchange (LME) futures price <0#AL> for physical delivery, could fall 2-1/2 cents off the current record-high level of 24.15 cents a lb by March or April, said Timothy Hayes, principal at metals researcher Lawrence Capital Management. Ed Meir, senior commodities analyst at brokerage INTL FCStone, said the premium would begin to fall in the second half of 2015 and would trade between 19 and 22 cents a lb. The Midwest premium, along with regional premiums in Europe and Japan, soared to record highs in 2014 as queues to receive aluminum from LME warehouses have grown to more than 500 days due to financing deals that have drawn intense scrutiny from lawmakers and regulators. In response to the criticism and complaints from users, the LME will implement a rule requiring that warehouses link load-in and load-out rates beginning Feb. 1. The expected decline in wait times will pressure premiums, Hayes and Meir said, though they emphasized that other factors were just as if not more important. A decline in Japan’s regional premium, which is currently around $110 a tonne less than the Midwest premium, would spill over to pressure U.S. markets, Hayes said, forecasting an average premium of 21 cents a lb in 2015, 18 cents a lb in 2016, and 15 cents a lb in 2017. Economic weakness around the world will hamper U.S. growth in the second half of the year, weighing on the premium, Meir said. In addition, a flattening forward price structure, coupled with major banks’ exits from physical commodity financing, will reduce the attractiveness of storing aluminum. “I don’t know who has the deep pockets to replicate these deals assuming the spreads come back,” Meir said. He added that surging demand from the U.S. automotive sector would prevent the premium from falling further, though the possibility that top producer China would reduce export duties on ingots remained a “wild card” and had the potential to drive premiums down sharply. Remember that when it comes to industrial metals, two of the most notorious banks in the US, Goldman and JPM as well as the world's biggest commodity trader Glencore, tried to corner the market and became a supply-controlling syndicate a la De Beers, controlling how much metal hits the market - most notably aluminum - and creating an artificial scarcity in the process. We covered this first in 2011, but few people noticed even if the data was staring everyone in the face. They failed, when this story became mainstream two years later following an article in the NYT which led to numerous congressional hearings, lawsuits, guilty pleas, and so on, in the process crushing the big banks' scheme to corner physical commodities. As a consequence, most banks have spun off are in the process of selling their physical commodity divisions. However, one thing did not change: aluminum was still largely locked up in warehouse inventory, with little if anything of the underlying product, i.e., supply, hitting the market (and market price). And as the charts below show, while copper has plunged in recent weeks, aluminum has been surprisingly stable, even though like copper aluminum is one of the key metals behind Commodity Financing Deals. That is about to change, because according to a source at Metal Bulletin the aluminum trickle (at first, then flood) out of warehouses and into the market, is about to be unleashed. 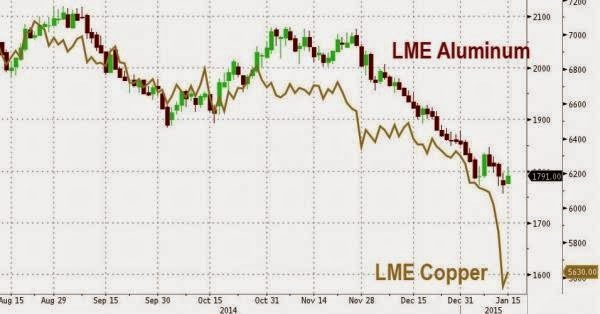 Does this mean that the one industrial commodity which so far was spared carnage is about to be "coppered"? And if so, how many hedge funds and prop desks who have aluminum-collateralized loans will have to struggle even more to pretend they can keep pushing that margin call into voicemail forever. We expect to find out shortly. How Higher Rents at LME Warehouses Affect Aluminum Market? News reported that LME-registered warehouses will raise average rental rates for aluminum by 3.6 percent in 2015. 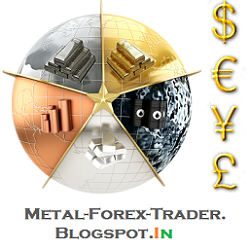 How higher rent rates will affect aluminum market? “The higher charges will accelerate the outflow of aluminum stocks from LME-registered warehouses, evidenced by sharp increases in cancelled warrants in recent weeks,” an analyst from Minmetals Futures told SMM in a most-recent interview. Such outflows will also make it more difficult to track aluminum stocks, as most of goods are expected to go to non-LME registered warehouses, rather than consumers, the analyst added. Another analyst from Guosen Futures expects the impact from higher rents to be mainly felt by backwardation or contango. Quarterly pricing negotiations between Japanese aluminium buyers and global miners are set to continue next month as buyers are refusing to pay higher premiums for January-March shipments, five sources said on Friday. It is unusual for the two sides not to reach agreement before the beginning of the quarter, but the sources said there remains a gap between producers' offers and buyers' bids. Japan is Asia's biggest importer of the metal, and the premiums for primary metal shipments that it agrees to pay each quarter over the London Metal Exchange (LME) cash price set the benchmark for the region. For October-December, Japanese buyers mostly agreed to pay a record premium of $420 per tonne , up 3-5 percent from the previous quarter. This year, Major Japan Port (MJP) premiums have risen 64 percent. Earlier this month, three top producers asked Japanese buyers to pay record premiums of $435-$440 per tonne for January-March deliveries, up as much as 4.8 percent from the previous quarter, citing higher U.S. spot premiums triggered by solid demand and smelter shutdowns that have squeezed metal supplies, the sources said. One producer has lowered its offer to $430 while another one had come down to $425 by Friday, five buyer sources said. 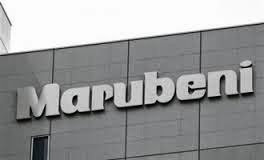 "But we still can't make a compromise as spot premiums are lower here and inventories at Japanese ports have built up as suppliers had brought the metal to Japan amid weak demand elsewhere in Asia," a Tokyo-based source at one end-user said. Aluminium stocks at three major Japanese ports hit a record high at the end of November on rising imports and softer demand. "We don't mind continuing negotiations until late January," one buyer source said. Two other buyer sources, however, said they were getting closer to settling at around $425 while another source at a trading house said he heard some deals had been done at $425. Most Japanese buyers are expected to take next week off for New Year holiday and return to work on Jan 5. The quarterly pricing negotiations have been carried out between Japanese buyers and miners including Rio Tinto , BHP Billiton and Alcoa . Global aluminium premiums are expected to reach record highs by mid-2015 on a supply deficit in the United States and Europe, according to a Reuters survey.